I did not think breakfast could get better than classic Eggs Benedict, but I was mistaken. What is not to love about perfectly poached eggs, rich, tangy Hollandaise sauce, savory Canadian bacon, and lightly toasted English muffins? To me, it is heaven on a plate; or at least that was my thought until I recently changed up my favorite breakfast meal. 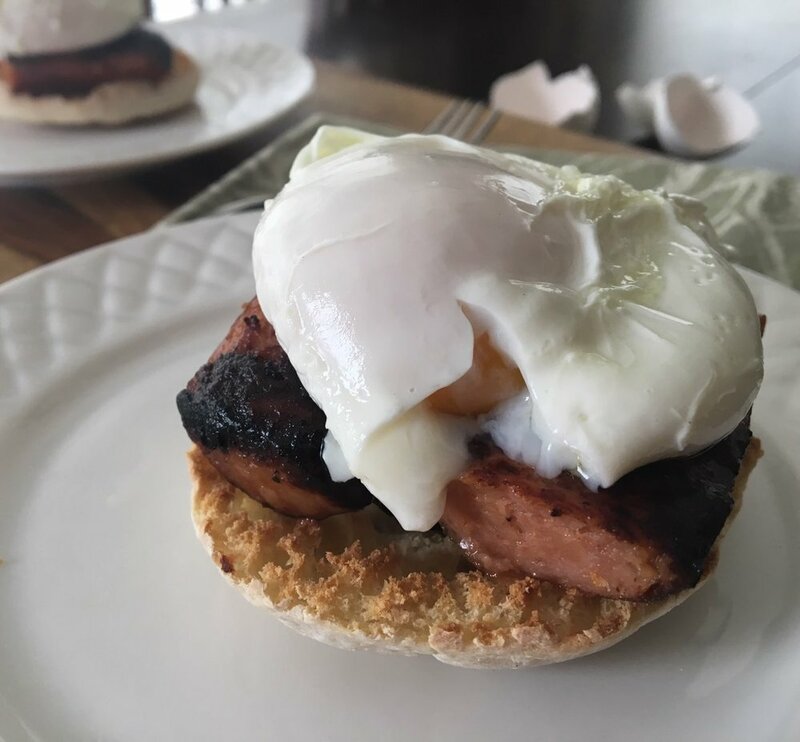 I swapped out the Canadian Bacon for Andouille sausage, added Cherchies Cajun Seasoning to the Hollandaise sauce, and created this bold, Louisiana-inspired dish to share with you. I present to you, Cajun Eggs Benedict Recipe. Oh my! Talk about a flavor party in your mouth! This classic breakfast dish went from awesome to sinfully delicious! 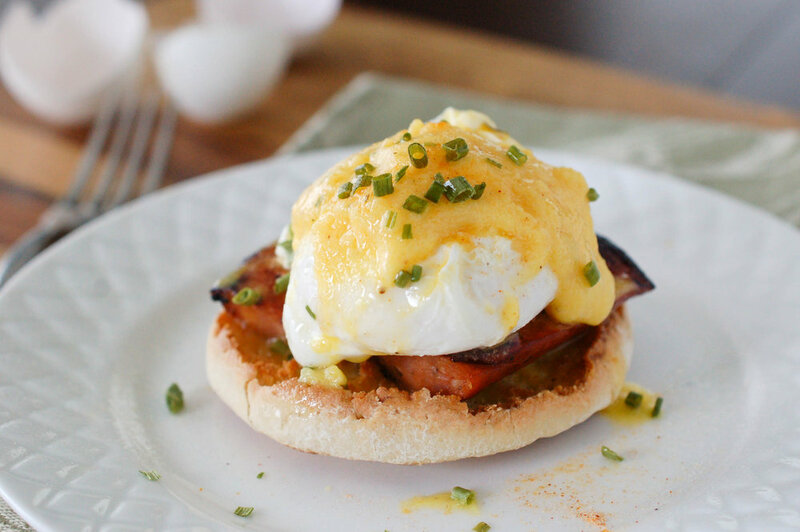 So, if you're looking to spice things up at breakfast or brunch and wow your guests, consider making this robust version of Eggs Benedict and savoring the bold flavors of Louisiana. I guarantee, this simple recipe will soon become a family favorite! Let us know when you try this decadent recipe and thank you for visiting our blog! Add egg yolks, lemon juice, salt, , Cherchies® Champagne Mustard to a blender. Blend until ingredients are incorporated. Turn the blender on again and slowly add the melted butter. *The emulsion process (thickening) works better when the eggs are at room temperature. If the hollandaise sauce gets too thick, blend in a few teaspoons of water to loosen it before serving. Set aside. In a large deep skillet or 2 quart pan, add two inches of water. Bring the water to a boil. Turn the temperature down so the the water is at a gentle boil. Gently break the eggs, one at a time into a coffee cup, small bowl or measuring cup. Or, so the eggs can cook at the same time, use four different cups. Carefully pour the eggs into the slow boiling water as close to the water as possible. This will begin the poaching process. See link from Betty Crocker. While the eggs are cooking, toast the English muffins until lightly toasted. Now it's time to assemble the Eggs Benedict. Place the English muffin halves on plates. Slice the Andouille sausage in half and in half again and equally divide among the English muffin halves. Carefully remove the poached eggs from the water with a slotted spoon and place on top of sausage. (The eggs should be slightly jiggly). 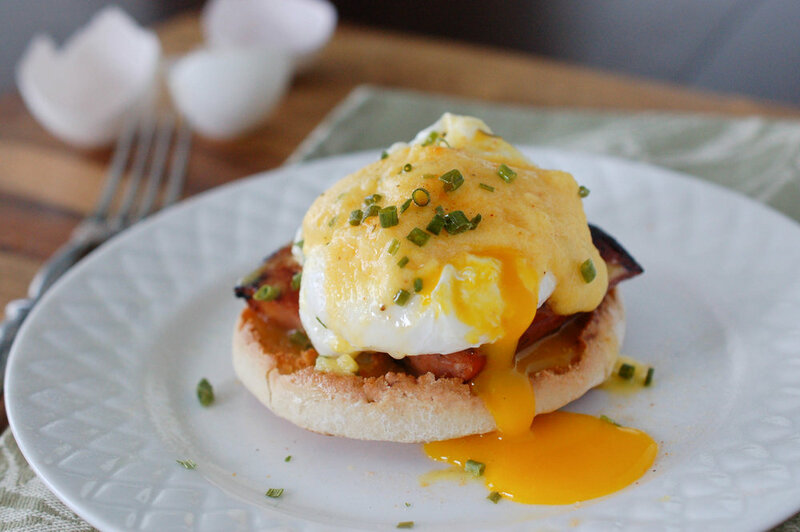 Dollop the eggs with the hollandaise sauce and garnish with the chopped chives. Sprinkle the eggs with a little more Cajun Seasoning for effect. Look at that, heaven on a plate! Enjoy!